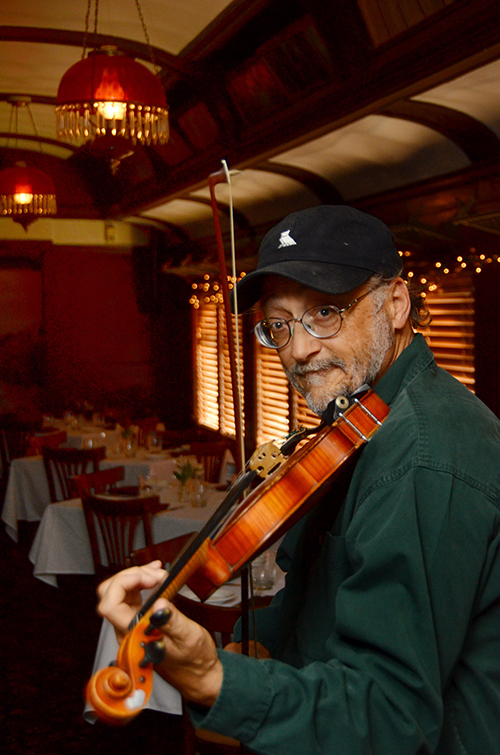 From jazz to bluegrass, Phil Salazar has explored a world of violin and fiddle music over the last 50 years. The son of former Ventura County Symphony Director and Conductor Frank Salazar, Phil started playing violin at age five, but his lifelong passion for fiddle didn’t emerge until he began as a teenager to play traditional American folk and rock and roll. The following year, while on vacation in Colorado, he first heard bluegrass and found his calling. Today he mixes traditional fiddle with rock, blues, country, jazz, Irish, pop and bluegrass, just to name a few. A self-described folk fusion fiddler, he has played with the Grateful Dead’s Bob Weir and French musician Gilles Apap and been featured on several albums by the Nitty Gritty Dirt Band’s John McEuen. He has also appeared at the Montreal and the Monterey Jazz Festivals. His previous work can be found by searching his name on iTunes. Salazar’s documentation was sponsored by Joyce and Ted Lombard.